High Protein Quest Bars are SO versatile! Make them into a delicious Dessert Pizza! - once pizzas done, let cool! 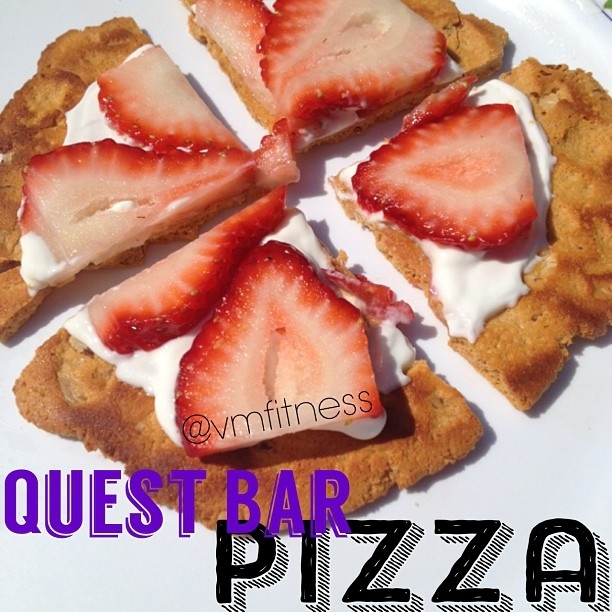 - top 1 tbs Greek yogurt on top of each pizza - decorate with strawberry slices!